In my younger years while trying to get through college, be a good wife, and raise three kids I decided I somehow had plenty of time to also sell pampered chef products on the side. I love pampered chef, great food, great high quality products, and some really awesome recipes! 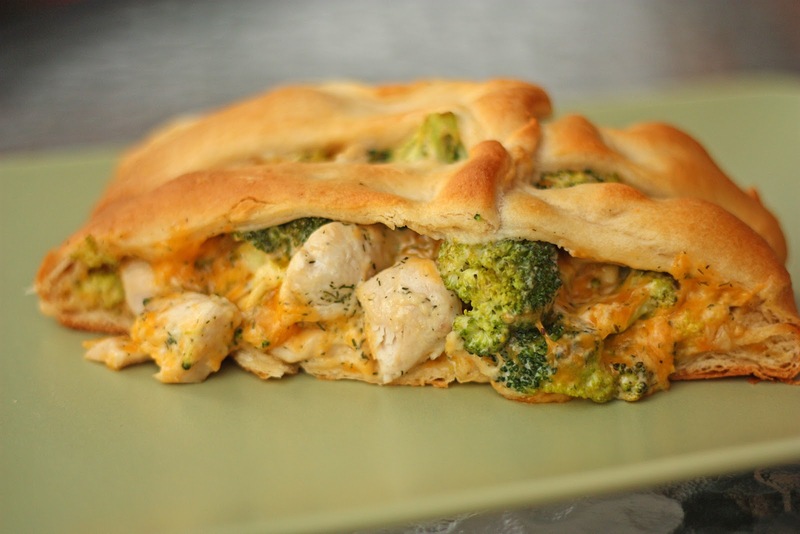 One of our family favorites is the chicken broccoli braid. This is a light meal great for a casual family night at home. Here’s what you’ll need…mind you this is my version and probably slightly different from the original pampered chef recipe. Lay your dough sheets out on ungreased baking sheets and preheat oven to 350F. In a large mixing bowl combine the remaining ingredients. 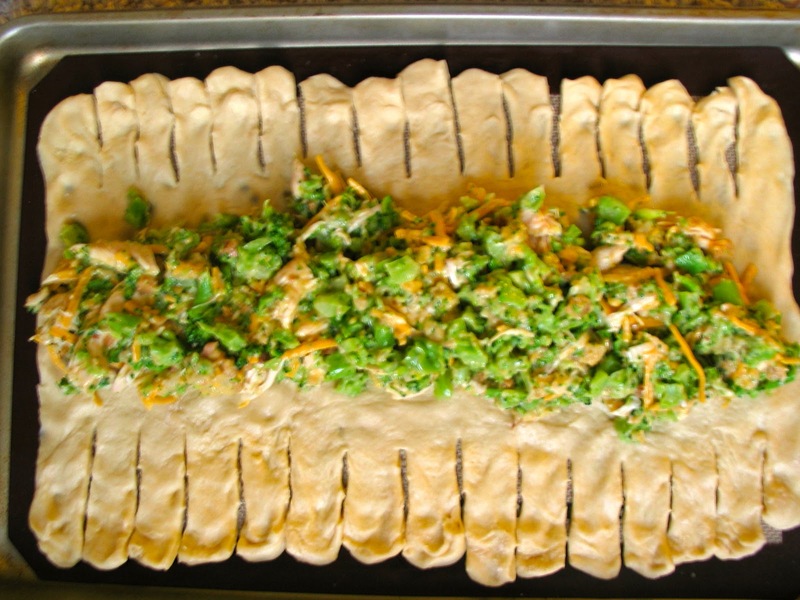 To make the braided effect cut slits down the sides of the dough and put filling down the center of the dough sheet. Once filling is in place pull the strips of dough in a cross cross pattern over the top. Bake uncovered about 10-12 minutes or until the dough is golden brown. Cut and serve warm! Enjoy! Next Entry The finale! So How did Spirit Airlines Do? !